Box Dimensions (LxWxH) 4.9 x 4.4 x 2.4"
Color Multi-Pack Ink Cartridges is rated 5.0 out of 5 by 3. Rated 5 out of 5 by Lizzie B from True to their colors I've been using these Epson cartridges for years with my All in One printers and have been extremely pleased -- even with photo printing. They are compact, easy to use and are true to their colors. The cartridges from B&H have always been reliable! 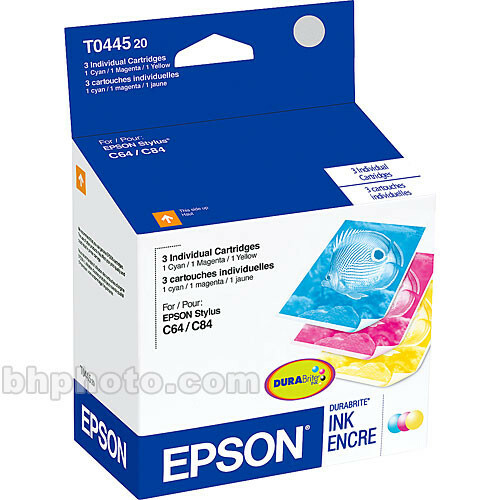 Rated 5 out of 5 by JamesSR from Great price on real Epson ink This was the best price I could find on the Epson color combo pack. ... Great deal. Rated 5 out of 5 by Anonymous from Really Good Cartridge If you need really good photos....this is it! !